The University of Colorado women’s basketball team is chock-full of great athletes. Take, for example, senior guard Kennedy Leonard, who has rightfully so become the face of the program and leader of the team over the past few seasons. She’s easily the most decorated athlete on the team. Leonard’s resume at Colorado includes: the program’s record for most career assists, among many other single-game records. She’s one of only 30 players on CU’s 1000-point club and one of only nine to do it by her junior year, she’s garnered numerous Pac-12 Conference honors plus various national recognitions and she’s the team’s two-time defending MVP. In terms of the hardest working player on the team, Leonard certainly comes to mind. But there’s another player on the team who works just as hard, if not even harder. Just ask her coach and teammates. Junior guard Quinessa Caylao-Do arrived on campus three years ago and has steadily emerged as a key asset for the Buffs, especially in 2018-19. And while Leonard may very well be the face and the vocal leader of the Buffs, it’s Caylao-Do who is the much quieter, lead-by-example type, but a leader nonetheless. “Q,” as she’ goes by to teammates and coaches, like Leonard, seems to get better by season. Now, in the midst of her junior season, Caylao-Do is enjoying a year of career-bests. Ask head coach JR Payne how much she’s grown since her freshman year and she’ll report that it’s been astronomical. Caylao-Do is often the last player to leave the court following practice. After a session formally ends, she can often be seen working on her shot with coaches, perfecting her positioning and footwork or talking about game plans with her teammates. In general, just doing anything and everything she can do to get better. It’s only when the coaches have to drag her off the court — so that the team can conclude practice by watching film — that Q stops working. Caylao-Do has spent over 700 minutes on the court this season, the most by any player on the team by over 80 minutes — or the equivalent duration of two full games. It’s a testament to how much coach Payne and her teammates trust and value her on the court. She’s become a very important piece of the Buffs’ puzzle. It wasn’t always like that, though. She worked hard to get to this position. During her freshman season, she only started two games and averaged 2.1 points per game, totaling 64 in the 30 games she appeared in. Her sophomore season saw some steady improvement. The guard made 22 starts, averaging 6.3 points per game while hitting 150 total points by season’s end. Her effort that season also earned her the team’s defensive MVP title. Now, fast forward to this season and Caylao-Do has already well-exceeded all of her past career-bests with plenty of the season still left to play. She is one of only three players to have started every game for the Buffs this season. On the year, she’s currently averaging nearly 11 points per game and is second only to Leonard in assists. An uncompromising work ethic centered around repetition and effort has been key for the junior from Tacoma, Wash.
“I think just being able to work out and then just being able to just show what I’ve worked on in the gym…shows in the game,” she said. One might say she comes off as reserved. But on the court, she’s far from quiet. Rest assured, Caylao-Do lets her play on the court speak for themselves. With Leonard now missing over a month of basketball due to a foot injury, and a potential return date still up in the air, it is Caylao-Do who has stepped up as a leader of the team. For the past three seasons, Caylao-Do has been tenured under the wing of Leonard’s leadership. But with Leonard now out for the foreseeable future, it’s time for the student to become the teacher — or the leader, rather. Though her teammates and coaches all see her as one, the question is, does the humble and reserved Caylao-Do see herself as one? With Leonard being out, it’s clear the Buffaloes are missing a big piece of their team. It’s something that Q and rest of the Buffs are trying to figure out how to move past. It hasn’t been easy recently. After starting the season 10-1, the Buffs lost 11 in a row, each loss coming to a Pac-12 conference school. CU finally broke the skid against USC on Feb. 10 and is looking to carry that momentum to a strong finish. But with plenty of season still left to play, the confidence hasn’t been lost amid the losing streak. 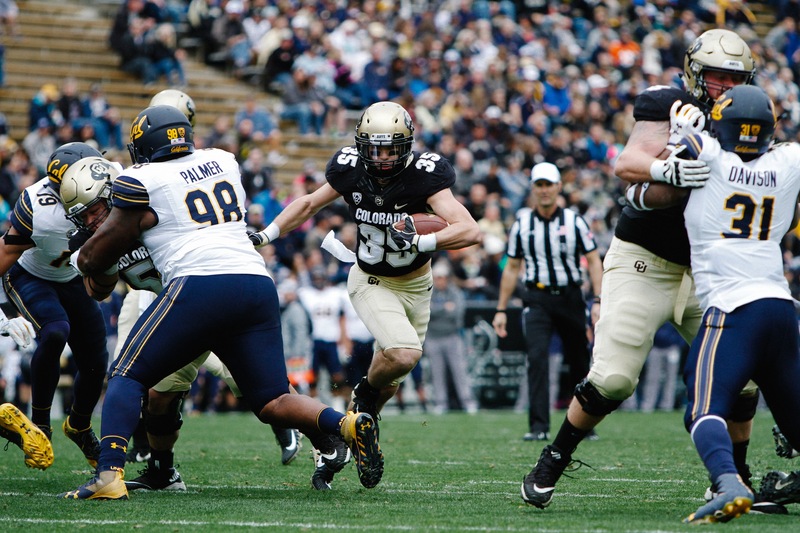 Though the Buffs’ record doesn’t look that great, Caylao-Do is certain the Buffs can turn it around. But how, you ask? Well, if you ask Q, she’ll tell you it’s easy: work harder. Contact CU Independent Assistant Sports Editor Scott MacDonald at scma0899@colorado.edu and follow him on Twitter @ScottTopics.